It has been one of those weeks, chasing my tail as usual and now another week has almost gone by. 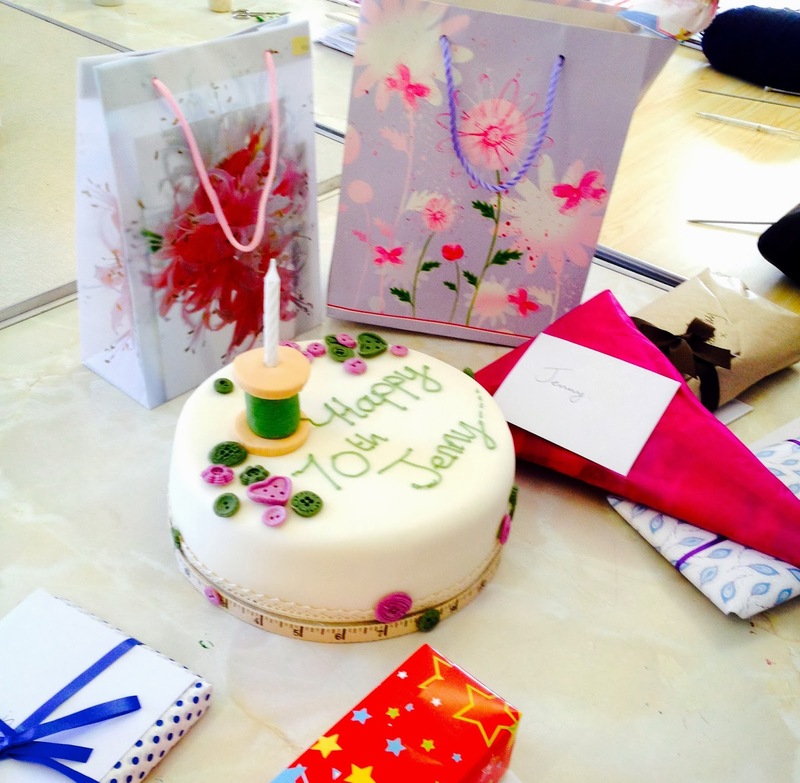 At the Quilting Bee on Wednesday we celebrated the lovely Jenny's significant birthday. 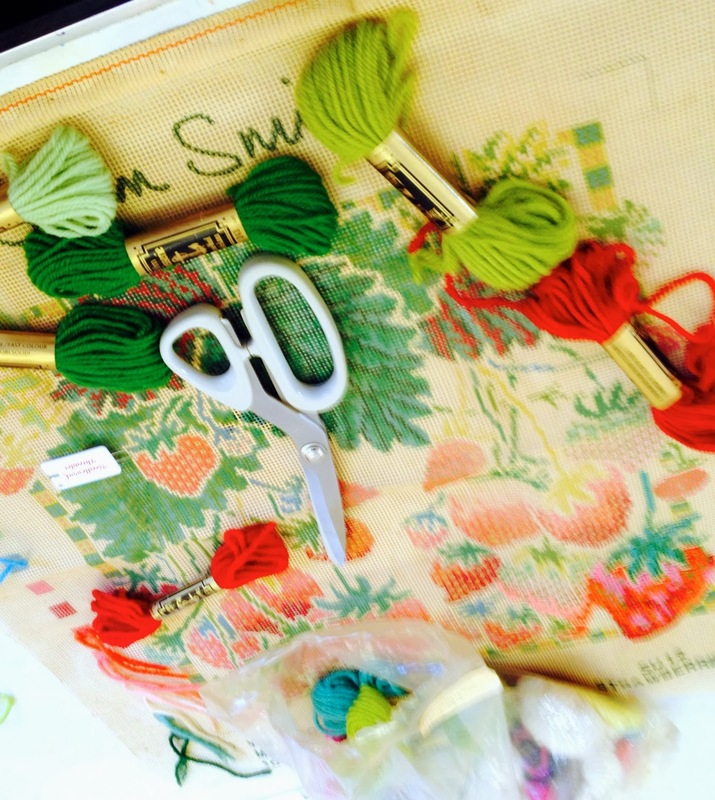 Alison had made a beautiful cake, even the cotton reel and buttons were edible. Jenny treated us to fish & chips and we had a rather nice pavlova for dessert. As you might guess, not a lot of sewing was done, though a lot of eating and laughing was done. This is a quick round up of what the "girls" were doing. 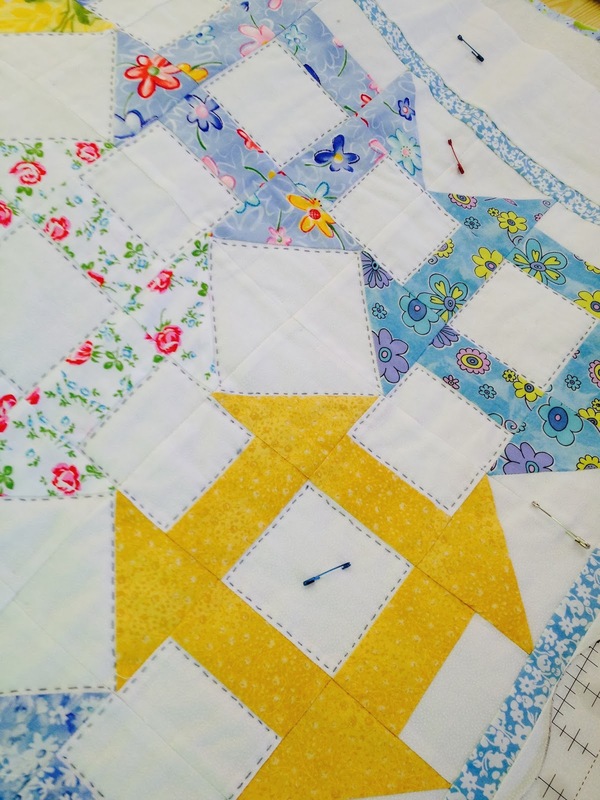 Ann was working on her churn dash quilt, big stitch hand quilting around each block. 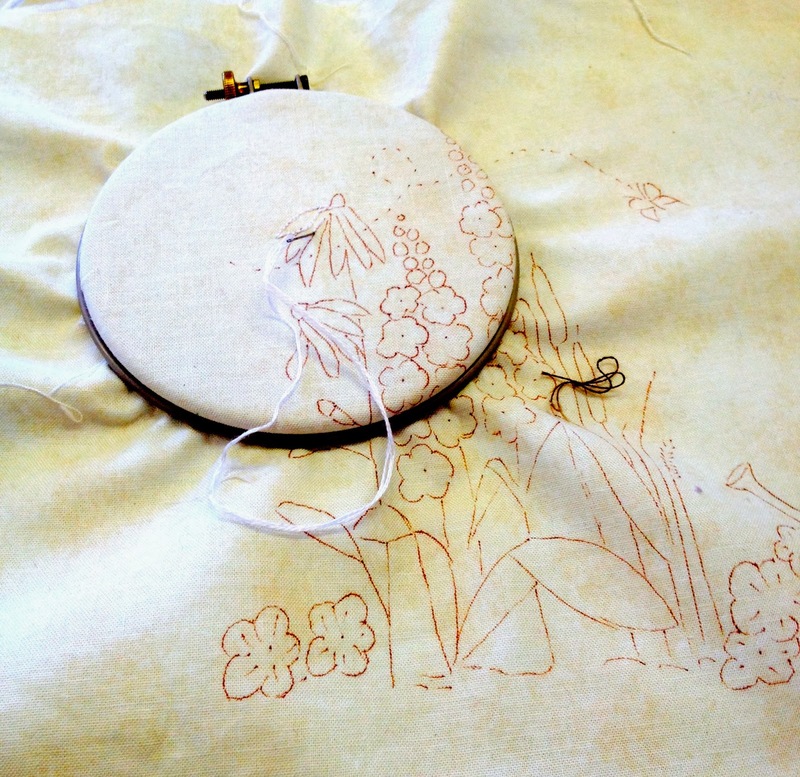 Liz was embroidering one of the mystery blocks. 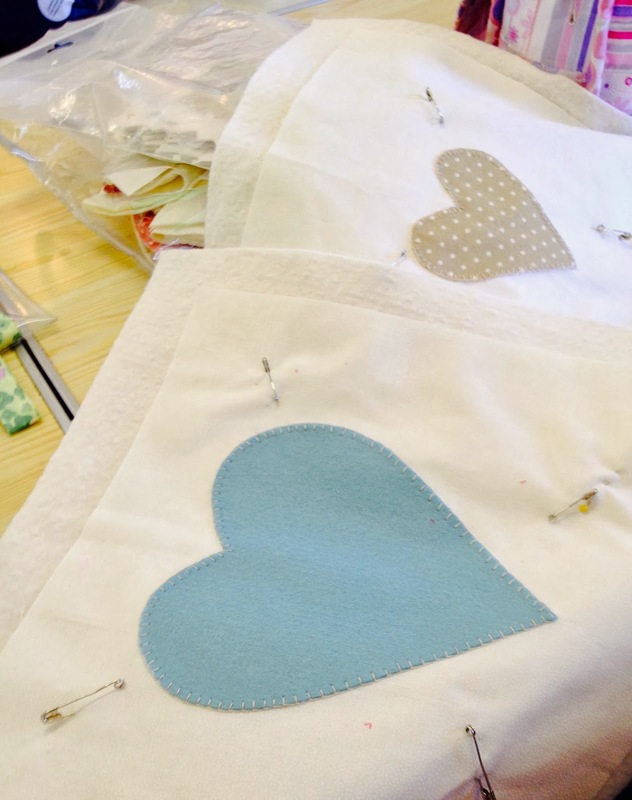 Annie was blanket stitching her hearts for her daughters quilt. 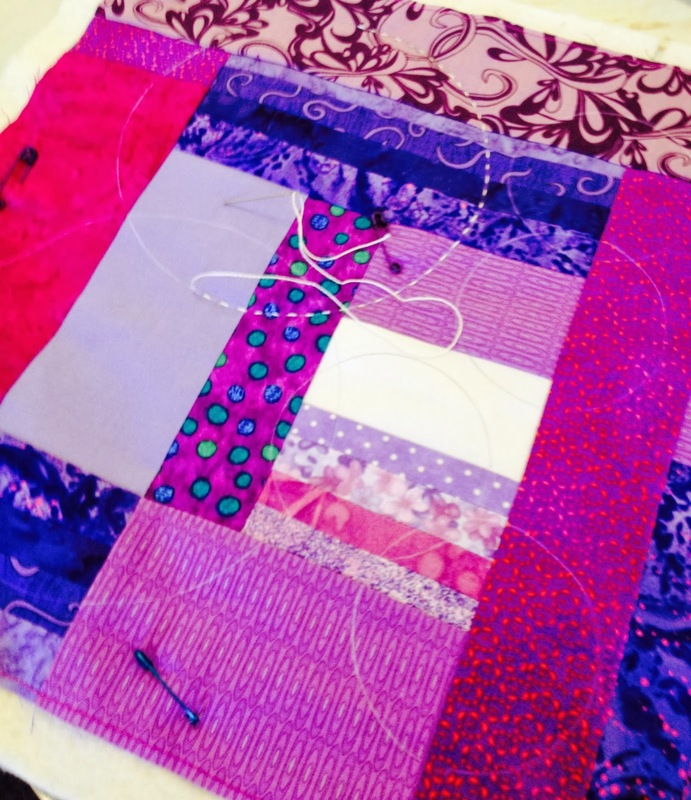 I was big stitch quilting one of my "Siblings together" charity blocks. Some of the others were knitting, and this is a Tapestry that Fiona had bought many years ago, and thought it was high time she finished it. The March BOM's have arrived, and I have finished the machine pieced Alphabet one, as it was very easy this month. I've cut out all the appliqué pieces ready to start this months Sunflower Heart. Last, but not least, a few more sprigs of "cow parsley" have been added to the Parsley Quilt, so it's been a busy week in all. Lot's more to tell you about, but this post is long enough already.